This project just north of Toronto has all the trappings of the ultimate outdoor living lifestyle. 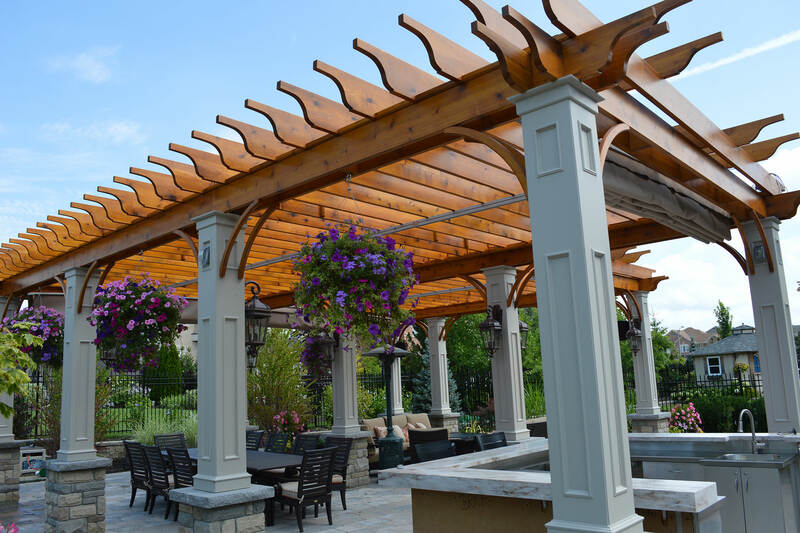 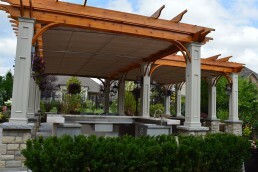 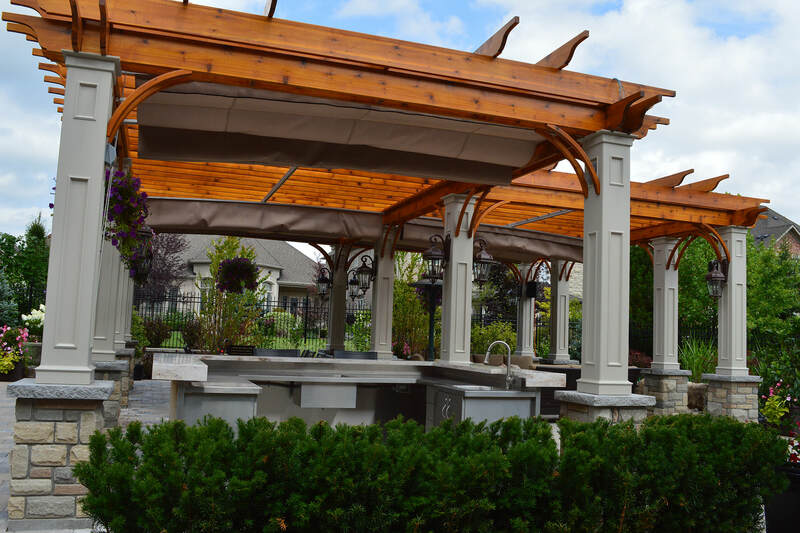 We were contacted in the early stages of pergola planning to ensure that this pergola was designed to perfectly integrate our retractable canopies without getting in the way of planned TVs, planters, and light fixtures. The covered space is very generous using a total of three retractable canopies; two are motorized and one (set mostly in the extended position to cover the bar area) is smaller and uses rope operation. 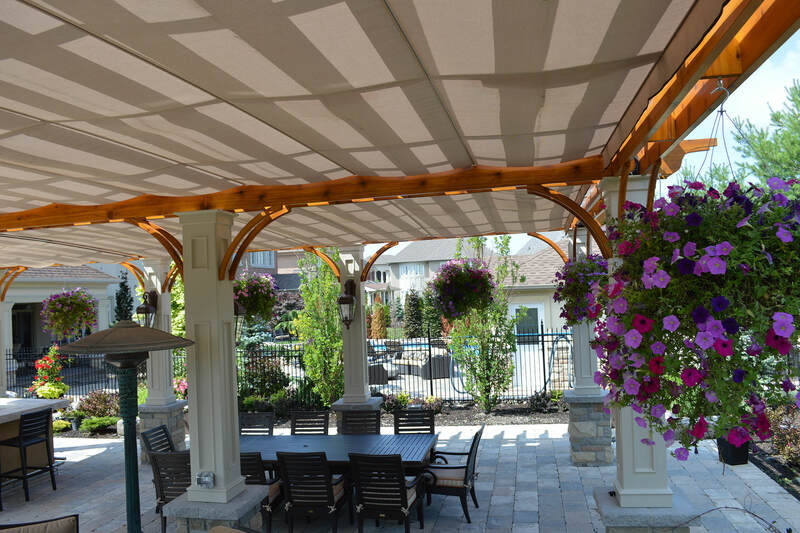 The motorized and rope operated canopies are in a ‘kissing’ arrangement meeting at their extended positions with minimal front valences to create a unified look. 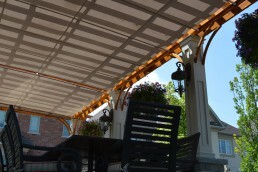 The Sunbrella Mocha Tweed fabric is a fine complement to the detailed woodwork. Notice how the translucence of the fabric allows the shadow pattern of the rafters above to show on the fabric. 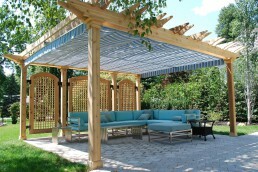 It makes for a beautiful striped pattern even though it is a solid fabric. 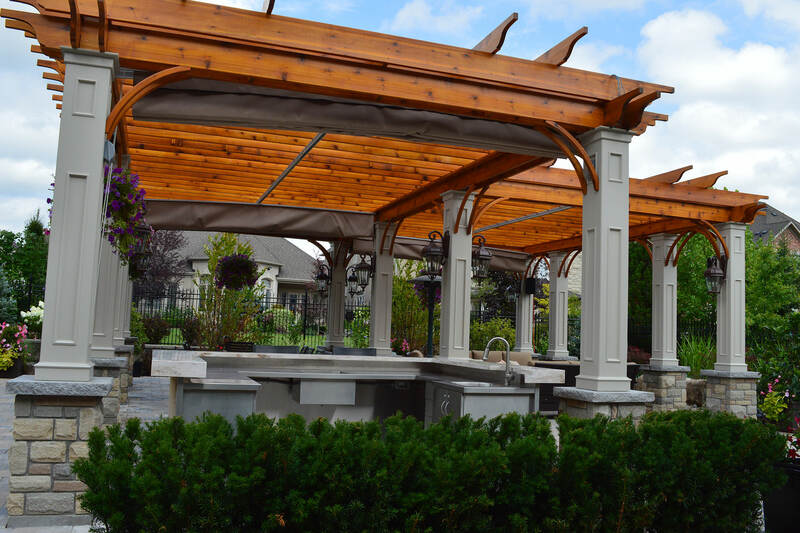 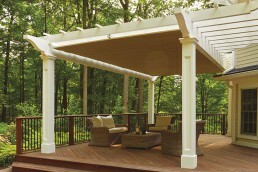 The middle beam of the tandem pergola runs along the high sides of the canopies, directing the driplines to the outside edges of this outdoor room. 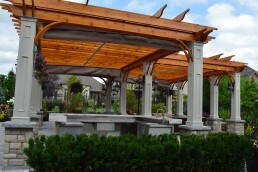 This project just north of Toronto has all the trappings of the ultimate outdoor living lifestyle. 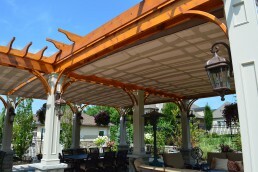 The covered space is very generous using a total of three retractable canopies; two are motorized and one (set mostly in the extended position to cover the bar area) is smaller and uses rope operation.